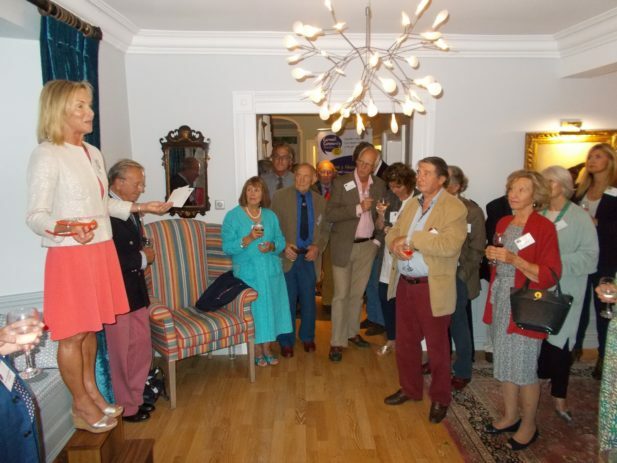 Our annual Friends’ and Cornwall 100 Club Party, hosted by Jane Hartley, the High Sheriff of Cornwall, was a fantastic evening on the 9th of September. We are very grateful to our Friends and C100 members for their ongoing support and the annual party gives an opportunity to celebrate this success story. The CCF is almost entirely supported by privately donated money, the majority of the funding for community investment comes from private individuals and Cornish businesses. The Friends of the CCF supported the Crisis Fund in 2016 and the Cornwall 100 Club, the business arm of the CCF, has invested more than £22,000 in community projects in March. A second round of funding will be available from the business club in October. The Cornwall 100 Club is a group of like-minded businesses who along with taking corporate social responsibility seriously, also want to invest in their community. Since its inception seven years ago the business club has invested more than £200,000 into community projects in Cornwall and the Isles of Scilly, supporting over 100 local projects. The funding from the Club helps local people to make their communities better places to live. You can support the foundation as a Friend of the CCF for as little as £25 a year and you can order Friends membership as a Christmas present for your friends and family. You will receive up-to-date information in our newsletters about where your money is going and how it is helping people around Cornwall, as well as being invited to our events, including the annual Friends’ Party. This year’s party was supported by C100 members Trevornick Holiday Park and Healey’s Cornish Cyder Farm.